If I told you there was a magic little seed that contained a perfectly digestible proportion of Essential Fatty Acids (EFA’s), all the amino acids needed to make a complete protein, plenty of trace minerals, and that it tasted deliciously nutty, you might be surprised to learn – it’s the humble little hemp. Hemp seed is an amazing food. With a 35% protein content (higher than that of soybeans), hemp is practically a necessity for vegans, but it makes a nutritious addition to everyone’s dry pantry. With high quantities of iron, zinc, vitamin E, phosphorous and magnesium, eating hemp just makes sense. I like to toss a handful of hulled hemp seeds into my salads or smoothies, and hemp seed butter makes a fabulous nutty spread. Trust me, hemp seeds won’t get you “high,” but they’re still not allowed to be grown in the United States. Fortunately, you can at least buy it. Nutiva sells 10 oz. bags of organic Canadian-grown hulled hemp for $7.99, and 16oz of organic hemp oil for $13.99. Give hemp a try and bring it out of the hippie kitchen and into the cuisine of the discerning gourmet. P.S. 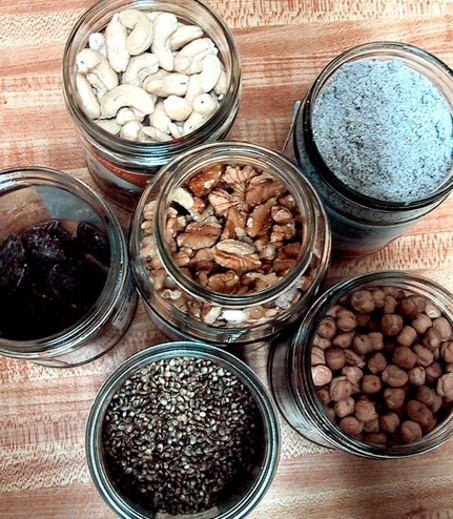 Don’t miss my primer on the wonderful health benefits of seeds.